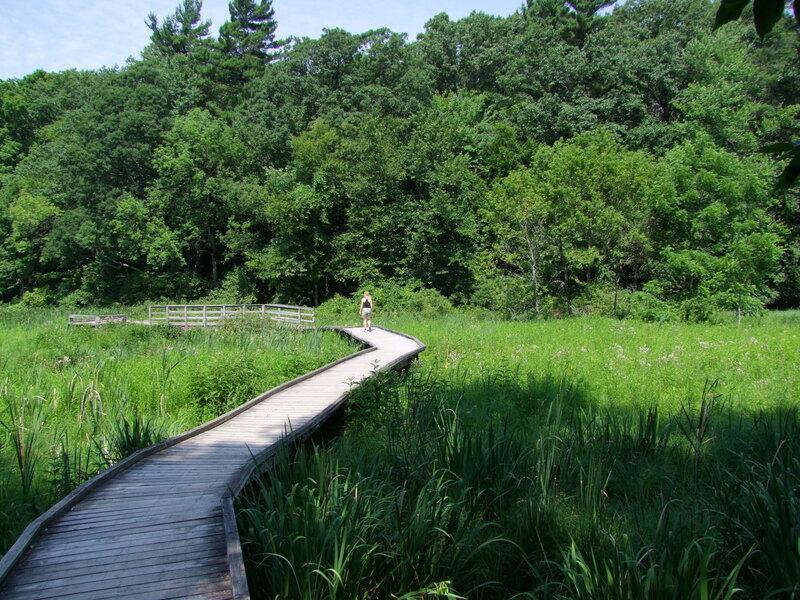 Part of the Catfish Creek Conservation Authority (CCCA), Springwater Conservation Area is a lush and verdant spot to visit during the summer months. I have never visited the area during the spring, fall, or winter seasons, though I can imagine that the area offers up special wonders for each different time of year. My primary interest in this conservation area is the 8 kilometers worth of trails which are accessible year-round (CCCA, 2014). However, visitors interested in other activities can make use of the full service campground, day use facilities, and buildings available for special events (About Springwater, 2014). There are also boats available for rental for those interested in getting out on the water (see the fee details here). There are a lot of Carolinian species – including Tulip trees, Sassafras, Spice Bush, and American Chestnut trees – scattered throughout the conservation area. Hikers will enjoy the topography of the trail and the meticulous care that the conservation authority invests into keeping these pathways maintained. I hope that you will find this area as enchanting as I have in my three years of visiting it! 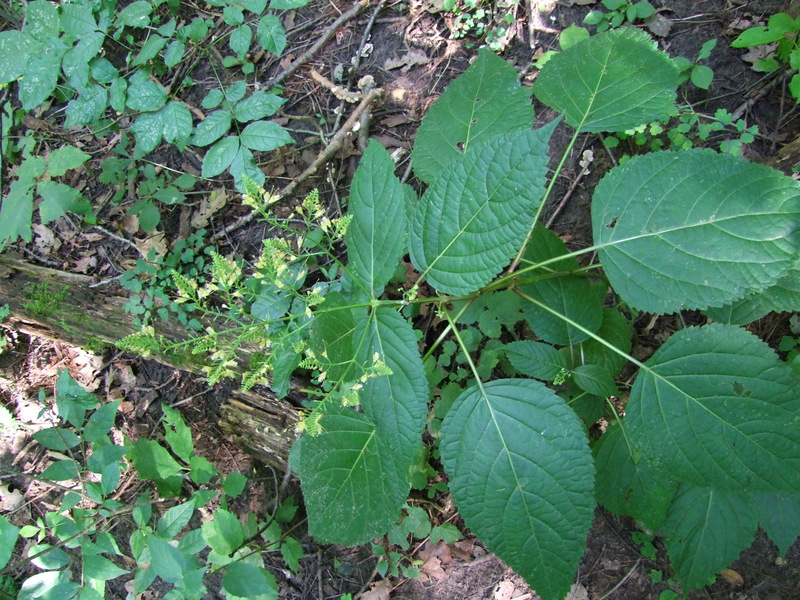 Stone root, or ‘Collinsonia canadensis’. Great slideshare! I particularly enjoyed the pictures of the bark – always fascinating to see the subtle, nuanced differences between trees up-close and personal. American Chestnut is still making its comeback from the blight here in Southwestern Ontario, so trees are smaller and dispersed (sadly, no stands quite yet). Recovery and management plans are in place, however, and reportedly doing a good job. If I find more substantial evidence of American Chestnut, I will be sure to share the pictures with you!